"Our Crazy Dream Of Building A Craft Beer Brewery Came True"
Nadine Howell Fanlo shares her journey that took her and her partners into a world where business is brewed with pleasure. For many, good beer is a welcome reprieve after a long day’s work. There is comfort in having an ice-cold bottle in your hand while having dinner and waiting for the traffic of EDSA to ease up. As you get older, it isn’t even about being cool and sociable anymore—it’s simply about relaxing and unwinding, and with the many new brands coming into restaurants, you have more choices on who to spend your chill time with. 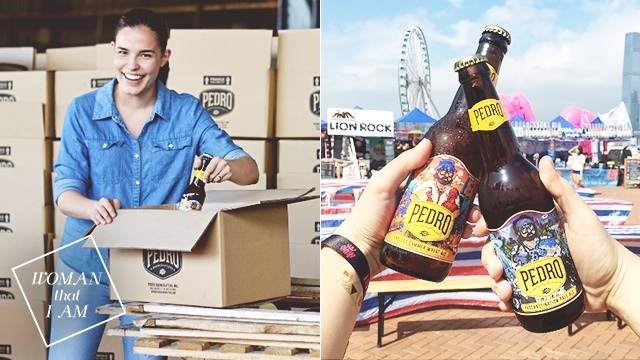 Pedro, the craft beer brand with personality, is the brain child of Nadine Howell Fanlo, her husband Jaime Fanlo, and their friend Jill Gerodias Borja. It was an idea that sparked after one too many glasses of alcohol, and her journey from creating their own brew to building Pedro’s brewery is something that will hopefully inspire you to take that leap towards your passion. 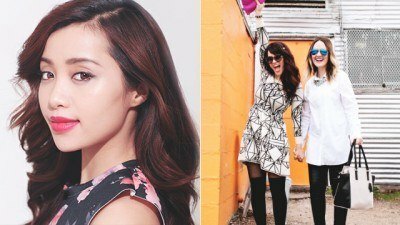 Female Network: What were the beginnings of Pedro? Nadine Howell Fanlo: Pedro was pretty much founded on a whim by me, my husband Jaime, and our good friend Jill. We always enjoyed craft beer and made it a point to try local craft beers in each country we traveled to. In 2014, we went to an international craft beer festival in Hong Kong. We saw all of these amazing craft beers from different countries including those in the region, but not one from the Philippines. We thought, “Hey, why don’t we brew our own beer?” and so we headed back to Manila and got started on our business plan for Pedro. FN: How did you manage to build your brewery from scratch, and what were the roadblocks you had to overcome? NHF: Time and knowledge about the craft beer business were our biggest limitations. Each of us had our own full-time jobs and businesses to attend to. All our spare time was spent making our crazy dream of building a craft beer brewery come true. We started brewing and testing out our recipes on the weekends. It was then we quickly realized that it was one thing to brew good beer, but another to brew good beer consistently. We sought the help of long time brewer, Mr. Ernest Ng, owner and brewer of RedDot Brewhouse in Singapore, who we engaged as a consultant to our business. He helped us a great deal from, the brewery design, to troubleshooting actual brews. Since we started @pedrobrewcrafters I've learnt and continue to learn so much about beer... and the more I learn about it, I realize there's so much to love about #craftbeer and the process of making it. Here I am at @ottercreekbeer checking out their packaging line with kuya brewer photobombing me ????? FN: It’s not easy to create your own craft beer. Were there any courses you had to take, and what were the inspirations behind your beer flavors? NHF: There are lots of references online and books you can get on brewing beer. When we started with our research and development brews, we seemed to get by on our limited education, but luckily, we had the foresight to have Jaime take up a brewing course with the American Brewers Guild. His brewing education has been an incredible resource especially because we are brewing at a commercial level and not just out of our garage anymore. All four of our variants that are out in the market are meant to showcase how different beer can be, while still being easy to drink and approachable —especially for those who haven’t tried craft beer before. The first beer style we released was Endless Summer Wheat Ale. We thought this made the most sense since Filipinos would appreciate a more refreshing, fruity, and light profile. Something really nice to drink on a hot day. It is still our best-seller to this day! Next was Procrastination Pale Ale, my personal favorite. It’s a particularly nice to enjoy it slowly and procrastinate a little to appreciate the fruity, floral, and herbal notes of this beer. Elementary, English Ale is an adaptation of beers that you might typically find in the UK: toasty, malty, with a slight coffee and caramel flavor, except we made it a little lighter in mouthfeel and slightly more carbonated to make it more refreshing and suit the Philippine climate. Lastly, we released Wandering Wonderer IPA fairly recently. A lot of our early customers were looking forward to use releasing our version of the quintessential craft beer style: India Pale Ale, so this one was born out of us listening to our craft beer loving customers. FN: Was there a point when you questioned your vision, or when you said, “Maybe I should just give this up”? NHF: This happens all the time! Haha! When there are production issues, problems with employees, negative feedback, or people who don’t believe in your vision. I’ve learned in the short time that we’ve been operating, there’s always going to be something or someone who is going to question why you are in business in the first place. 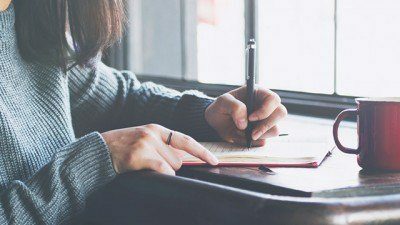 It’s so easy to get bogged down in the day-to-day challenges, but the key is not to entertain those thoughts at all, focus on your goals and all the things you love about your business. FN: Who were the people who kept you going? NHF: My partners and family are my constant sources of inspiration and encouragement. I am lucky to have my husband as a business partner too. We always keep each other going and share our little daily victories with each other. We also find that the best validation always comes from our customers. @jaimefanlo and I are manning the @pedrobrewcrafters booth today at #BrewfestMNL ???? Come and try our new beer! ???? FN: What’s the best story that a customer has shared with you which made you think, “This is what makes everything worth it”? NHF: I really can’t say that there’s one particular story from a customer that stands out above others. Even a simple reaction like “Hey, this is good!" really makes it all worth it. It’s the best feeling! FN: What were the life lessons that Pedro has taught you? NHF: Enjoy milestones, no matter how seemingly small. It’s so easy to get buried in the day-to-day work that you don’t realize how much you have actually achieved. It’s okay to be underestimated. I’ve actually learned to enjoy it! It only means I have the opportunity to prove people wrong. Haha! Don’t feel guilty about disconnecting and doing something for yourself from time to time. We gain inspiration from experiences and other things that we love to do. FN: What would be your message to Filipinas who have passion projects that they are afraid to pursue? NHF: Sometimes what eliminates some fear is doing your research. If you can back up your dream with facts and figures that support it, it’s much easier to take the leap knowing exactly what you are entering into and what targets you need to meet. After that, I say, just do it, and do it now! Experience is the best teacher. You never know, there might be someone out there who might have the same idea as you!